Windermere is well known for its berry fruit, principally strawberries and raspberries but also for blackberries, boysenberries and blueberries. Wanganui’s milder summers are conducive to a longer strawberry-growing season from late October to March (and often April) and are less disease prone. 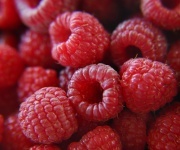 Its colder winters are especially suitable for raspberries. Traditionally the raspberries have come in two crops, Nov-early Jan, and March-April. We develop a better taste-profile for our strawberries and raspberries by leaving our fruit on the plant for as long as possible before harvest to allow for more natural ripening. We then pick, pack and deliver our berry fruit fresh on a daily basis. Strawberries are the most popular berry fruit in the world and are very rich in vitamin C and a high source of nutrients. They are also a source of anti-oxidants and their unique phenol content makes them a heart-protective, anti-cancer and anti-inflammatory fruit. Windermere produces a prolific strawberry crop from October through until May. We pick and pack to order and can deliver daily. We have a wide range of berry sizes available, including stem berries suitable for dipping in chocolate sauce for special occasions. Raspberries are especially suited to the Wanganui climate. They are the second-most popular berry fruit in the world with a memorably unique flavor and texture, rich in vitamin C and dietary fibre, low in cholesterol and fat, and a high source of anti-oxidants. Properly-ripened raspberries are wonderfully rich in color and flavor. They are a delicious, delicate fruit and best consumed fresh and not stored for any length of time. 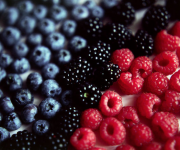 Windermere also has blackberries, boysenberries and blueberries available in season available at our produce market.